With a fresh information available, Renault has confirmed about the debut of its compact multi-purpose vehicle (MPV) – Scenic at the upcoming Geneva Motor Show 2016. The 86th edition of this international motor show is just about to start in March from 3 to 13. The company has also been planning to unwrap its next generation Renault Megane along with Renault Clio's facelift version, at the same event. 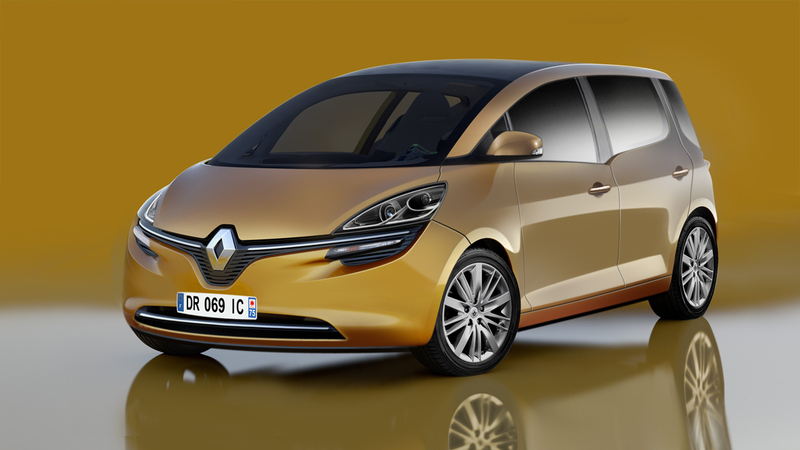 The new Renault Scenic will be released as a fourth generation model, which is based on the same C/d platform-sharing of the Renault-Nissan Alliance and known as Common Module Family(CMF). Talking more about Scenic, it was first introduced in 1996 and was followed by second and third generation, carrying the name tag of Grand Scenic with an option of 7-seater. For now, new generation model will be available in 5-seater option only. Coming to the powertrain, it will be offered with both petrol and diesel option, with displacement ranging from 1.2 to 1.6-litre. As like its last model, it could be mated with a 6-speed Efficient Dual Gearbox (EDC) that means it consists of both automatic and manual transmission option as well as a 7-speed EDC is also expected. This new upcoming model is said to be added to company's new design platform that can be seen on fifth generation model of Espace and upcoming Kadjar, Talisman and even the Megane. Continuing with features, it will get new 3-spoke alloy steering wheels, R-link 2 infotainment system with an 8.7-inch vertical touchscreen display and color-head display inside the cabin. All the other details such as exteriors, some safety features and also some new advanced attachments are expected to be unveiled at Geneva Motor Show.